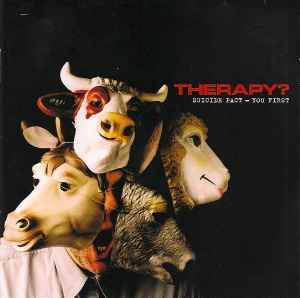 With the release of this new album has Therapy? commercial suicide (the title refers to here maybe?) committed, that is undeniable. The band suggested what to want to operate, and therefore has a smaller scale but omitted any hit singles. Clearly, that this is no longer the same Therapy? is like during Diane of Nowhere. Nowadays, Therapy? more akin to a garage band (no overdubs and everything in a couple of takes on tape). Let us older work of this Irish less to the fore, then show that this is not such a bad album, and that it has been possible to shake off all Commerce.